How to make an effective Promotional Letter for sales of Equipment Lease? Download this promotional letter template now! By using this letter, you are guaranteed that you have an appealing letter at hand, which you can personalize to your needs. This will save time, cost and efforts and enables you to grow the equipment lease business faster. After downloading and filling in the blanks, you can easily customize e.g. visuals, typography, details, and appearance of your Promotional Letter Equipment Lease. 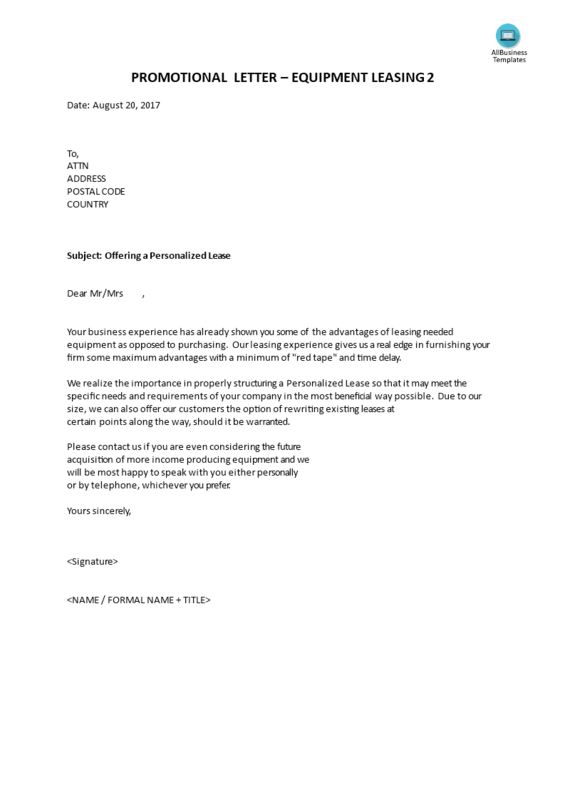 Download this Promotional Letter Equipment Lease Sales Letter template now!